Blessing of the Bikes--The New River Convocation will participate in the Blessing of the Bikes at Boys Home on Saturday, May 11. There will be a picnic, tour of Boys Home, and time to get to know the boys. Please contact the church office and sign up if you plan to attend in order to get a head count. Meet at Town Hall parking lot at 9:00 am or meet at Boys Home at 12:00 noon. Easter Egg Hunt--We are planning to have an Easter egg hunt between the 8:00 and 10:30 services at 9:30 please let us know if you're able to help set up. Noon Eucharist—The Wednesday noon Eucharist and Lectionary Lunch will not meet until May 15. Shepherd’s Report: Approved a new arrangement of the designated monthly missions. Campus Ministry: Roger Cook reported that seven students regularly attend Red Door and there has been an increase in inquiry due to promotion on social media. Upcoming activities include: Bissett Park clean-up day, prayer service at the Cascades, and 12 step program for students. Kathy and Roger have drafted a community covenant for future residents of Red Door house. Tim Walker and Sherri Carper have agreed to become counters. The old playground has been removed and Kathy is forming a committee to research ideas for child friendly landscaping. Thomas and Litton submitted a proposal for professional service for an exterior accessible ramp and sidewalk. The cost for developing a plan was sent to the finance committee for recommendation to the vestry. The former nursery room has been converted to an office for Mason. Thermostats in the Vest building were replaced. Mark Carper is looking into updating the corner sign. A representative from Grace is needed to attend a meeting regarding vacation bible school. The archive committee is developing building policies regarding weddings, baptisms, and funerals . Kathy is looking for people to join the Living Local Joining God initiative from the diocese. This program examines ways to do outreach. The church will be open all day on Good Friday for private prayer. Good Friday Offering—We will be collecting an offering for the Episcopal Church to support the ongoing ministry. UTO Boxesare available in the bell tower. Please prayfully consider using this box in your home for daily/weekly alms as a Lenten practice. Lent Madness!During Lent this year, we will also enjoy a Lent Madness study of saints. To participate, go to Lentmadness.org to vote for your favorite saints. To participate in the Lent Madness Tournament and the chance to win prizes, complete a bracket with your predictions of winners and place in the basket on the stage. The deadline for entries is Ash Wednesday. Prizes for winners will be awarded at coffee hour after the 10:30 service on Easter Sunday. Copies of the bracket are available in the parish hall. Booklets called "score cards" are also available in the parish hall in a limited number for those less inclined to online participation. On the Tuesday before Lent begins, Christians all over the world celebrate the end of season after Epiphany with a big party - like our famous Pancake Supper. Epiphany began January 6, when the wise men followed a star in search of a newborn king and found the infant Jesus. People celebrate Fat Tuesday with parades and parties and pancakes and plastic beads. Mardi Gras is called that because long ago on the night before Lent began, people used up all the fat in their kitchens - milk, butter, eggs, meat - so that during Lent they could come closer to God by not eating those foods. Some of us still prepare for the coming of our king by fasting - or giving up something. Some of us give up foods we really like, like desserts or sodas or vanilla lattes. Then the money that we used to spend on desserts or sodas or lattes can be saved and given to help feed the hungry. We’re going to use United Thank Offering boxes as an option for alms giving. Some of us give up television or video games or try to spend less time with our smart phones, and for the forty days of Lent we use that time instead to look for ways to come closer to God.On Ash Wednesday we mark each other with the sign of the cross in ashes as a reminder of our ultimate dependence on Christ for the redemption of our finite, fallible and fallen human condition. We take the word alleluia out of our worship services to save it for the great Feast of the Resurrection - Easter! There is a menu of options at Grace for the practice of a Holy Lent this year. In addition to giving alms to UTO, an added mid-week service of Healing and Holy Eucharist will be celebrated at noon every Wednesday. At 1:00 on Wednesdays, for those who want to stay and study, our Lectionary Lunch continues with a study of the coming Sunday scripture lessons (lunch is brown bag only). And on Wednesday evenings we will gather at 6:00 for soup and bread and watch a faith themed movie and discuss it. The theme for this Faith and Film series is Saints and Sainthood. And for further study and fun we are going to follow lentmaddness.org where we can learn more about the saints and even vote for our favorites! I pray that you will participate in some or all of these options and enjoy the benefits of tucking away the “alleluias,” adding, subtracting and/or just working on changing as we prepare our hearts in this way for Easter and for our continued journey as disciples. See you Sunday if not before! This is adapted from a homily by Wendy Claire Barrie. Lent begins Wednesday, March 6 with services at Noon and 6:00 p.m.
UTO Boxes will be available in the bell tower prior to Lent. Please prayfully consider using this box in your home for daily/weekly alms as a Lenten practice. 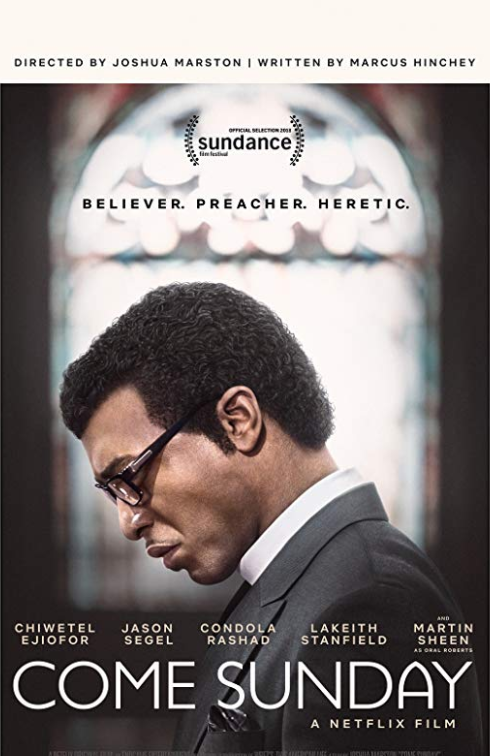 Lenten Series-- A lenten series on Faith and Film will be held in the Parish Hall on Wednesdays during Lent from 6:00 to 7:30 beginning Wednesday, March 13. Please sign up to bring soup and/or bread to share. We will enjoy soup and bread, watch a faith based film and then discuss the film. This series includes the theme of Saints and Sainthood. Due to time constraints, some films will be watched in two parts. Lent Madness! During Lent this year, we will also enjoy a Lent Madness study of saints. To participate, go to Lentmadness.org daily during Lent to vote for your favorite saints. To participate in the Lent Madness Tournament and the chance to win prizes, complete a bracket with your predictions of winners and place in the basket on the stage. The deadline for entries is Ash Wednesday. Prizes for winners will be awarded at coffee hour after the 10:30 service on Easter Sunday. Copies of the bracket are available in the parish hall. Booklets called "score cards" are also available in the parish hall in a limited number for those less inclined to online participation. 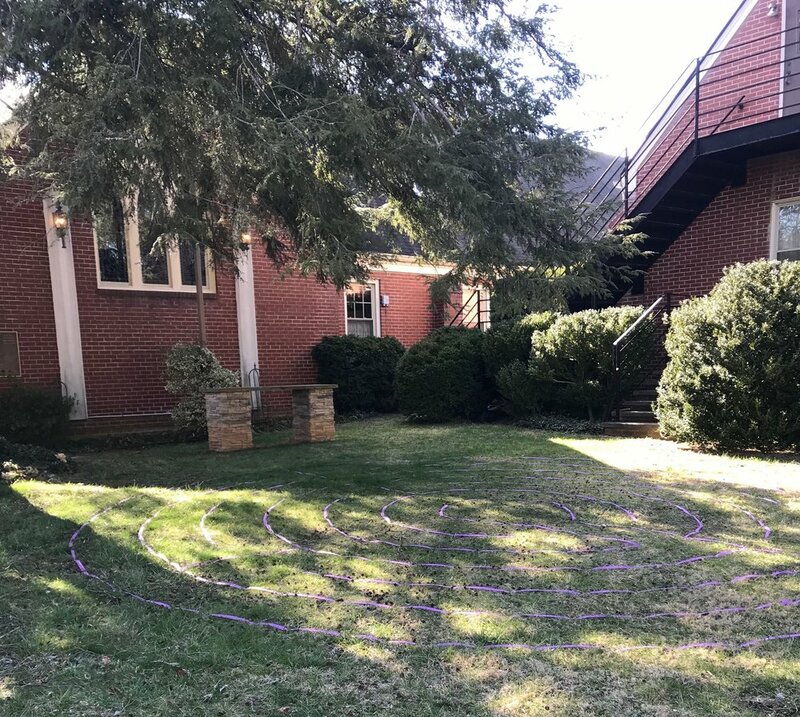 Noon Eucharist--Beginning March 16 there will be a Noon Eucharist and Healing Service in the sanctuary followed by Lectionary Lunch in the Parish Hall. Pancake Supper—Please join us for the 115th annual pancake supper on Tuesday, March 5th from 5:00pm to 7:00pm. Donations are accepted and delivery is available to a limited area with a minimum suggested donation of $20 (please call in advance). Gluten free pancakes, sugar free syrup, and vegetarian sausage will be available by request. Please contact Beth Gaspard if you are able to help. Grace Rooms--Please consider bringing a meal or sharing a treat with our Grace Rooms guests. See Lee Slusher for details. Red Door--Please sign up to bring a meal and/or cooking lesson this semester. Sign up sheets are in the Parish Hall. The full list of 2019 roles can be found here. Please make the check payable to Grace Church and drop it off at the Parish Office with your dedication. Mountain to Mountain Partnership is a collaborative effort of Christ Church, Big Stone Gap; All Saints, Norton; Christ Church, Marion; Church of the Good Shepherd, Galax; Stras Memorial, Tazewell; St. Marks, St. Paul and St. Thomas, Abingdon. The partnership is working with St. Paul’s Episcopal School in Beaudin Jean Pierre Haiti to support the school. It is a four room concrete block building in a remote village with no power and no water that teaches about 200 children. Last year the group raised enough funds ($20,000) to pay the staff of 9 teachers and provide lunch to the children (and still had a little left over for educational supplies!). Plans are being developed to help the school become self-sustaining in the future so they will not be dependent on outside funds to operate. In addition to providing resources for the school, the partnership has travelled to Haiti every other year to listen and learn how they may best serve our brothers and sisters in Christ in Beaudin Jean Pierre. Please join us in supporting this ministry through prayer, increased awareness, and if you feel so called a monetary gift given in a check made to Grace Episcopal Church and placed in a blue envelop marked Haiti. 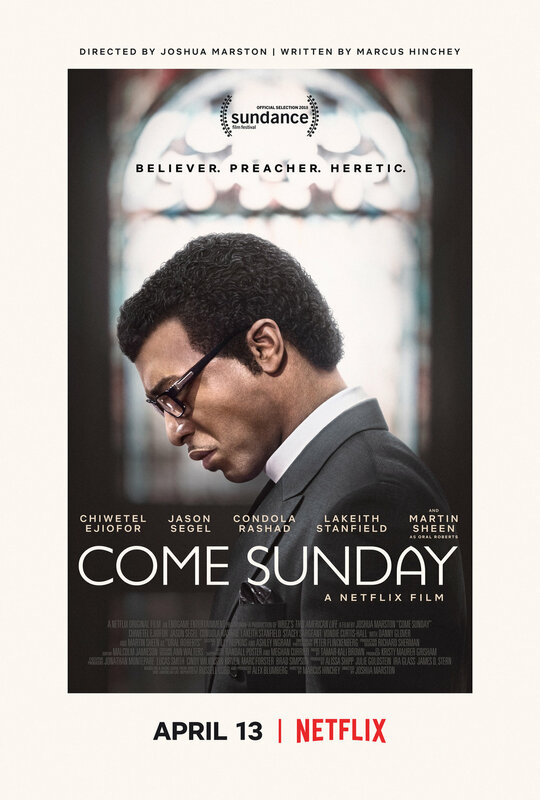 Lenten Series: A lenten series on Faith and Film will be held in the Parish Hall on Wednesdays during Lent from 6:00 to 7:30 beginning Wednesday, March 13. Please sign up to bring soup and/or bread to share. We will enjoy soup and bread, watch a faith based film and then discuss the film. This series includes the theme of Saints and Sainthood. Due to time constraints, some films will be watched in two parts. Project Linus Blanket Day—Project Linus Blanket Day will be on February 16th from 9:00am to 3:00pm at Grove United Methodist. Material and Sewing Machines will be available and refreshments will be served. Lectionary Lunch is canceled this week but will resume next Wednesday, February20 at 1:00 in the Vest Building Conference Room. The Book Club will not meet this week and will hold its last meeting in the Rectory on March 20 at 6:30. Altar Flowers—The 2019 Flower Sheet is now on the bulletin board. If you would like to sign up for Altar Flowers, please bring a check payable to Grace Church and your dedication to the Parish Office. Lectionary Lunch—Lectionary Lunch will change days and begin meeting at 1:00 on Wednesdays starting next Wednesday, February 6th. As we enter the new year, many people are cleaning out their closets of clothing that is in good shape, but no longer worn. This is a good time to consider passing those items on to the Clothing Bank for those in need. Items may be left on the stage in the Parish Hall or left in the drop box at the clothing bank. January is Grace's month to volunteer at the Clothing Bank on Thursdays, Fridays, and Saturdays from 10-12pm and Thursday from 4-6pm. We need 4 to 5 volunteers for each shift. Please consider giving a couple of hours of your time to the Clothing Bank and volunteer with other members of Grace by signing up on the sheet in the Parish Hall or contacting Diana Jordan at 639-0809. Monetary donations are greatly appreciated and may be placed in the blue monthly mission envelopes. This money goes toward paying utilities, rent and other expenses. January is Grace's month to volunteer at the Clothing Bank onThursdays, Fridays, and Saturdays from 10-12pm and Thursday from 4-6pm. We need 4 to 5 volunteers for each shift. Please consider giving a couple of hours of your time to the Clothing Bank and volunteer with other members of Grace by signing up on the sheet in the Parish Hall or contacting Diana Jordan at 639-0809. Book Club—Book Club will resume on Wednesday,January 9, 2019 at 6:30in the Rectory with the reading of Chapter 13 in the book Walk in Love, Episcopal Beliefs and Practices by Scott Gunn and Melody Wilson Shobe. Lectionary Lunch—The Lectionary Lunch Bible Study will resume on Thursday,January 10, 2019 at 1:00pm. The full list of weekly roles for 2019 is available here. Please contact the Parish Office with any changes. The 2019 Flower Sheet is now on the bulletin board. If you would like to sign up for Altar Flowers, please bring a check payable to Grace Church and your dedication to the Parish Office. Bishop Michael Curry will join the people of Southwestern Virginia next year for the 100th Annual Convention of the Episcopal Diocese of SW VA as well as the service of Revival. The 100th Annual Convention takes place at the Hotel Roanoke on January 25-27. Find more information and register at www.dioswva.org. Once again Elf Shelf thanks you for the many ways you continue to support us each year. Through our 25 years of operation, we have known that we can always count on Grace Church.......to donate money, toys, and many hours of service. As well as helping parents shop during your Friday shift, you have set up tables, swept floors, tagged gifts, packed boxes, and inventoried stock. With your help this year we provided toys to 366 children and food vouchers to 227 families. Thank you for sharing your time, your money, and your hearts with those in need. Book Club—Book Club will resume on January 9, 2019 with the reading of Chapter 13 in the Book Walk in Love, Epicopal Beliefs and Practices by Scott Gunn and Melody Wilson Shobe. Lectionary Lunch—Lectionary Lunch will resume on January 10, 2019. June Mission—Women’s Resource Center. If you want to help break the cycle of abuse and create new lives for women in the New River Valley, there are many ways you can help. For some people, a simple donation is the best way—we assure you we will invest your gift wisely to help women in your community. Others find volunteering to be the most rewarding way to help. There are many roles to play in our organization. · Shampoo, conditioner, lotion, etc. Boys Home—We are hosting visitors from Boys Home on June 24. Vacation Bible School—will be July 29 - Aug. 1st from 5:45 to 8:15 each evening at Radford Presbyterian Church with a picnic at Riverview Park on Wednesday. Adult leaders, youth leaders and musicians are needed to help in planning and/or at the event. This is a shared ministry with several local parishes. Look for details in upcoming announcements. Blue Grass Mass and Jam Camp - A Blue Grass Mass and Jam Camp will be held at Grace during the weekend of November 10th. We need to raise $1200 for this event to pay the professional musician and also provide scholarships to RU students to attend Jam Camp. Please consider a gift to this cause. Recital— The Presbyterian Church of Radford is presenting a recital put on by Zoe Jones and Soohyun Yun at 5:00pm on Sunday, June 17. Donations will be collected to assist Zoe with food and travel for her three week Opera retreat in Texas. Archive Committee—Diana Jordan and Joyce Muldoon have agreed to co-chair the Archive committee. Contact one of them if you are interested in helping with the history room, photo albums, or a small library of historical items. 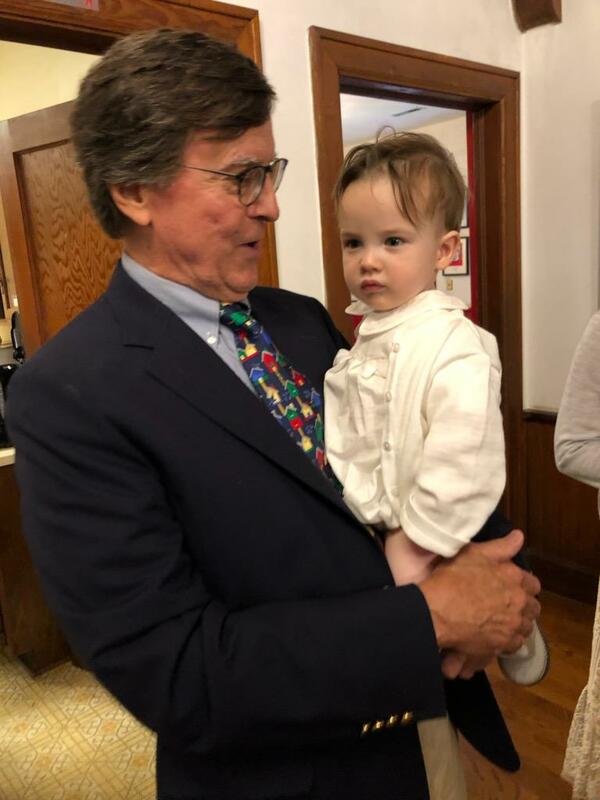 Thank you to all who helped with the reception for the Celebration of a New Ministry on June 6, especially Parish Life Chair, Beth Gespard for coordinating this. It was a lovely reception with good food and fellowship. Thank you to our wonderful Grace Rooms volunteers, especially Lee Slusher and Betty Lee for all they do to ensure housing for our guests. We have some ladies moving on to new horizons and new guests coming in this month. Keep this ministry in your prayers. Thank you to the Sproule family for all the extra help around the buildings and grounds lately. This week Thor and Mason are assembling nine new chairs for the vestry room. Please visit GraceRadford.org for the full list of June and July roles. The Highlander Club will be hosting the NRV Summer Kick-off on Tuesday, June 19 at Brick House Pizza in Radford from 6:00 p.m. - 7:30 p.m. Complimentary appetizers and a cash bar will be available. Travel down the rabbit hole and join Alice in the mysterious Wonderland. In this fantastical place, Alice comes across many peculiar characters, including a relaxed caterpillar, a happy cat, a depressive hare, a mad hatter and learns all is not well in Wonderland. A very cross Queen of Hearts seems distressingly keen on chopping everyone's heads off. Join Whitebarrel Winery for our First Annual Honey Bee Festival, to learn more about our Bee Sanctuary and Research Program, the effects of Colony Collapse Disorder, and have a fun time with vendors, live music, food trucks, and of course... wine! Be sure to bring your blankets and lawn chairs to enjoy the outdoor area and activities!